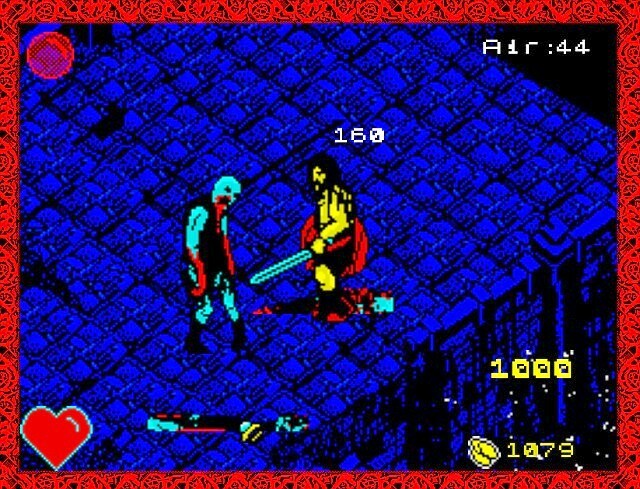 Difficulty, dungeon crawling, and gore is the closest experience you'll have with Sinkh's Lair; a creepy horror like ZX Spectrum style game, with deadly beasts, scary music and the will to survive. Delving deep into the dungeon depths with poisonous fumes attacking your lungs, you must gather as much loot and oxygen as possible while slashing at blood thirsty critters. Beware of this game though, it will be no easy trip. You will die, you will die a lot! Your health heart will be sapped quick as enemies attack you from all sides and air quickly vanishes, so grabbing as much loot as possible for a high score and escaping is paramount. 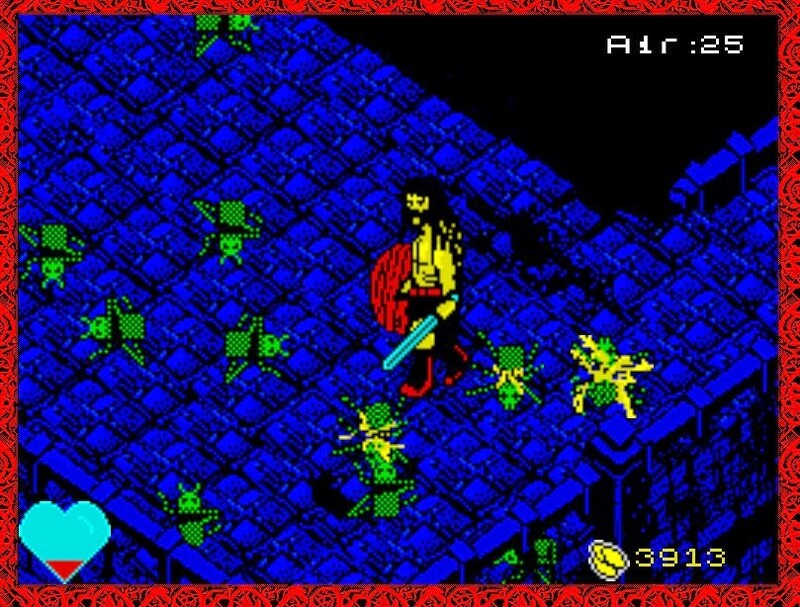 Featuring impressive ZX Spectrum style graphics, lots of monsters, blood, high difficulty, a nasty boss and plenty of fun to be had, Sinkh's Lair is a highly recommended browser release. - Thanks indiegames for the heads up!